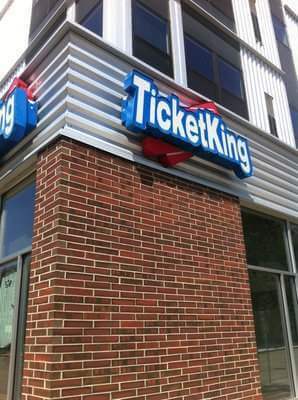 Ticket King, Inc. is an independent, privately owned, full-service ticket brokerage. In business since 1991, Ticket King is a nationally recognized leader in the ticket broker arena. We specialize in obtaining premium tickets to sporting events, concerts and theater shows. We are the #1 ticket broker for the Minneapolis, Saint Paul area, but also sell thousands of tickets to events nationwide. We promptly buy and sell tickets on the secondary market at ABOVE face value. We work through a network of brokers and tickets purchased from the general public to obtain top-quality seats for our customers. Every order is processed with the customers' convenience, security and satisfaction in mind. We offer competitive event pricing that is based on the initial face value of the ticket, specific ticket location and supply and demand. Each order is personally attended to by one of our dedicated customer service representatives who are committed to providing you with courteous, professional, *ROYAL* service and a quick, convenient, reliable shopping experience!